Belize Underwater is providing us with boats for our dives. 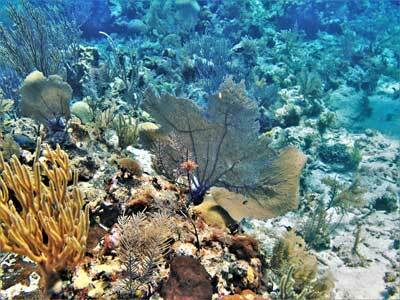 Belize is home to the Belize Barrier Reef, which is part of the Mesoamerican Barrier Reef- the second longest barrier reef in the world. There is no shortage of diving along this reef, so we will do two days of two tank dives at the Belize Barrier Reef, and one day at Glover's Atoll. Glover's Atoll is a 3-tank dive, and lunch is provided. 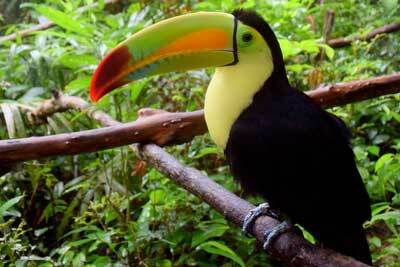 Spend two days diving the Belize barrier reef, the largest in the western hemisphere. With Belize Underwater, venture only 30 minutes from shore to discover eels, lobsters, groupers, and other reef inhabitants up to 60 feet deep. 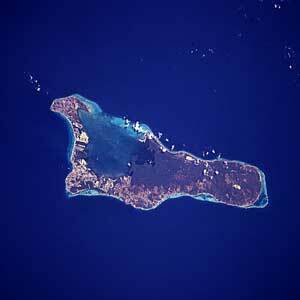 Glover's Atoll was named by Jacques Cousteau as one of his favorite dive sites. This 3-tank dive provide the chance to see rays, turtles, and wrasse swimming along beautiful coral structures. You will also enjoy an included lunch on a private island. Hopkins Bay Resort is located at the edge of Belize in the cozy Garifuna village of Hopkins, which was voted friendliest village in Belize. It features a restaurant & bar and is only a 15-minute walk from town. There are taxis, as well as golf cart rentals, for getting around town. 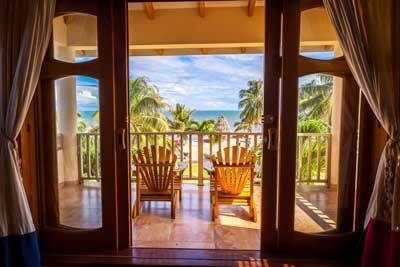 Your room has a balcony and beach view. Pricing includes airfare, hotel accommodations at Hopkins Bay Report Belize, airport transportation to and from hotel, 3 days of dives (two days @ 2-tanks (Barrier Reef), one day @ 3 tanks (Turneffe Atoll, includes lunch). Red Sail Sports is providing us with boats for 3 days' worth of dives. 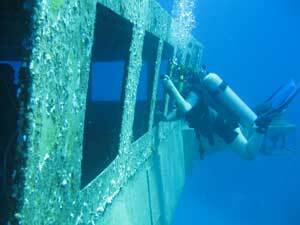 As a group, we will explore a variety of diving destinations, including the USS Kittiwake wreck just off Seven Mile Beach. 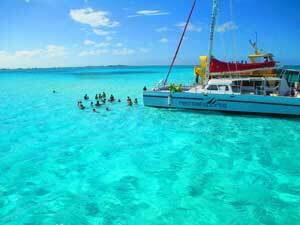 A must-see in Grand Cayman, the ship features five decks as well as a colorful and rich array of sea life. A highly sought-after dive site, the USS Kittiwake is an impressive wreck and haven for marine life. In service for nearly 50 years, it notably recovered the Blackbox from the Challenger Space Shuttle disaster in 1986. Divers of all skill levels can explore the top 3 decks, but only certified wreck divers can explore the two lower levels. Located on Seven Mile Beach, Margaritaville Beach Resort Grand Cayman opened in 2017. Guests can enjoy four swimming pools, a variety of casual and upscale restaurants and bars, live entertainment, and more, all situated on a beautiful private beach cove. Pricing includes airfare, hotel accommodations, 3 days of 2 tank dives (Diving Package only), park admission for Kittiwake Wreck, and airport transportation to and from hotel.